When was the last time you saw a celebrity trying her luck with softball? No point breaking your head over it because we have an answer. Reese Witherspoon trying her hands at softball. Probably an honest sporting decision because she looked dressed to play softball but is anyone thinking that she may just have put on a little weight. The well fitted Nike sports gear isn’t doing much t compliment the body. But let’s look at it this way. 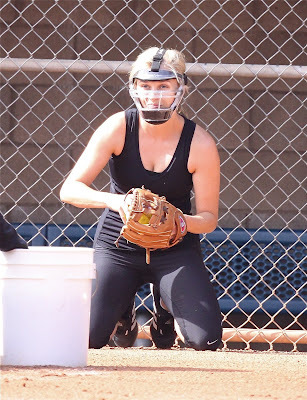 While she’s waiting to get a film going, playing softball would be a great idea to keep in shape this summer.